hunting base - Rent cottages, rooms. This building is a one-story brick house, which attracts his modesty and rigor. It offers a large, long, well-lit corridor through multiple windows, which overlook four cozy rooms that are offered for rent. Entering the room, you can immediately feel the atmosphere of coziness and comfort. Each room has two comfortable single beds. 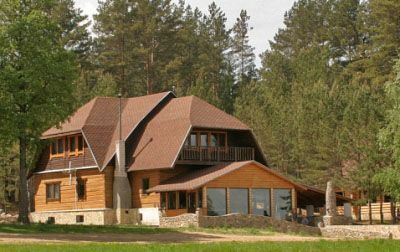 Building is not just a hotel, a three-story log house, made in an extravagant style, with elements of the hunting theme. Design does not impress you, on the contrary, will create a pleasant mood, successfully combining rustic and modern styles in one. 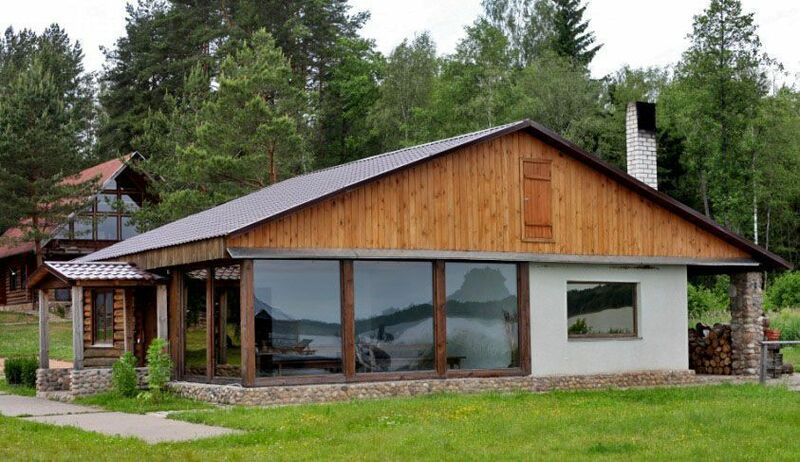 Once in it, you, like, get hut in the forest, but, It offers all the amenities. 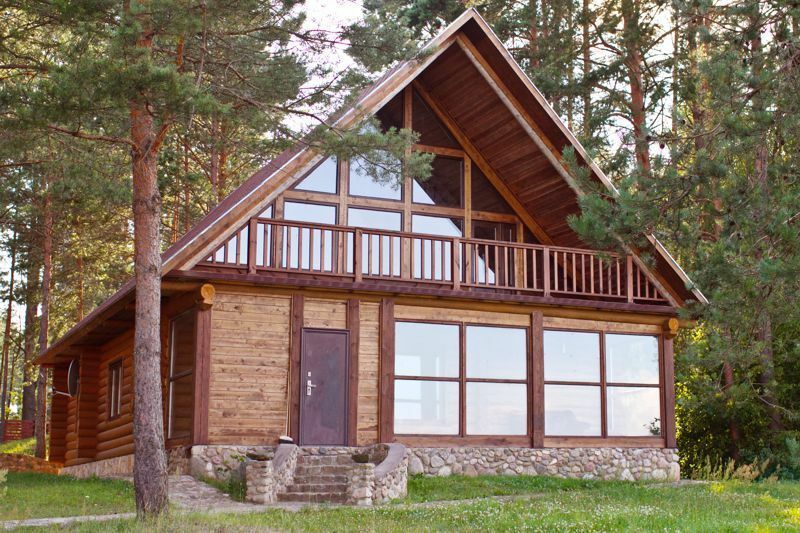 Two-story log house with 4 rooms for up to 12 people. Now to finish the inside otdelaka and prepare for the settlement. Our gazebo is a log, one-story building with environmentally friendly materials and can accommodate up to 15 people. The advantage of our gazebo that no weather will not break your plans. Since the construction of which is covered, which will protect you in any weather. Many windows does the arbor bright and cozy. Through them you can endlessly enjoy the manifestations of nature. What could be better than a fragrant steam bath in the evening under the broom of best friends? You come out with steam rooms and a re-born! A healthy mind and a cheery tone! So, if you belong to the lovers of baths, and your friends will also appreciate a bath, then you do not need to be reminded of how this is useful. We have a great offer for you!